As the temperatures are continuing to rise it is becoming less and less appealing to wear my hair down. I need something chicer than a ponytail for the office and when I go out to special events. I have yet to master any updos but these braided crowns look simple enough that I just might be able to pull one off. Do you have an easy go to hair style? 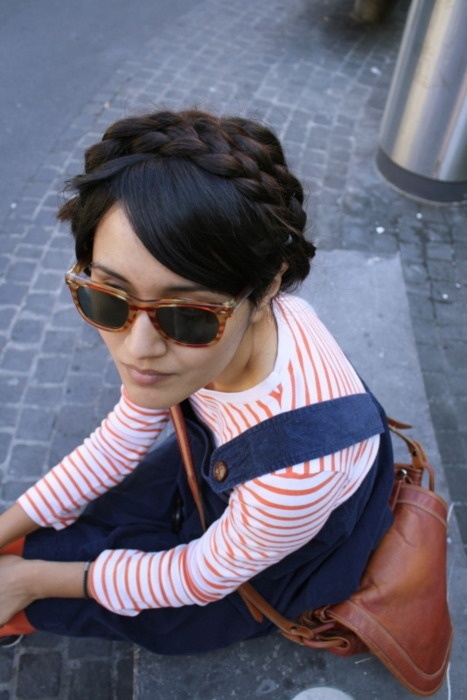 I WISH I could do that to my hair...braids are so cute! Such pretty hairstyles. I need to put more time into doing my hair. I love braids. I feel like I need someone to do it professionally for me though because every time I try I feel like just look silly. I wish I could do cool braids like this. Maybe I should add that to my bucket list for this summer. 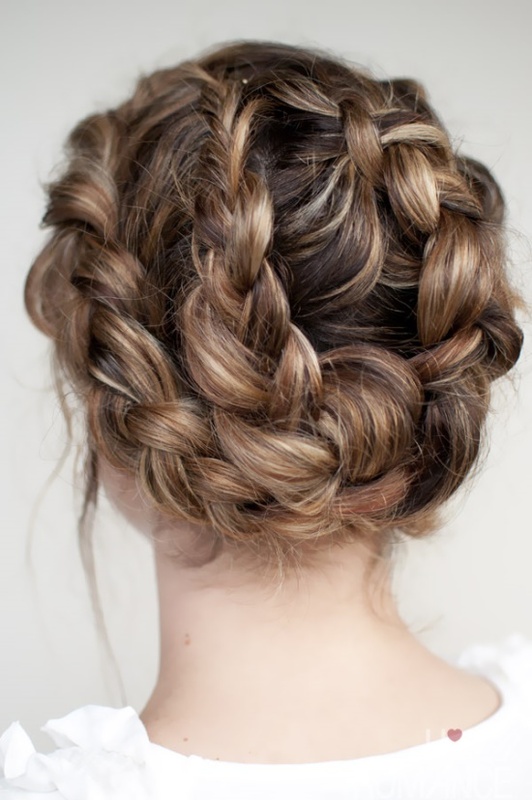 I love these braided styles - I used to do this a lot with my hair when it was still long. Right now, my default hair options are either down or pigtails, since I'm still growing my hair out. I actually wasn't able to manage a ponytail until today, and the ponytail only really stays if I slap my hair into it while it's still wet. But these are definitely useful styles for everyday, or a ponytail with a braid in it somehow. Buns are pretty good options too! I sock bun it or side braid. I want to do more but I am lazy. I love all of these ideas, though! Beautiful braided hair dos. When the temparature soars high, I always resort to the French Twist!!! Btw, I recently did a post on 2 mins hairstyles!!! Loving these braids. Just wish I knew how to do it myself. i love a low, slightly messy chignon. these braids are really pretty...missing my long hair! Hi Tracy! Every time a check your blog, I love it more and more.... looks pretty. oooh these are all so pretty and perfect for the summer.